For those of you who may not know how big of a deal the rivalry between the Utes and the Cougars are, let me fill you in. For years the University of Utah has been known as the team up North and BYU the team down south, and there is no doubt that both schools will forever be rivalries. 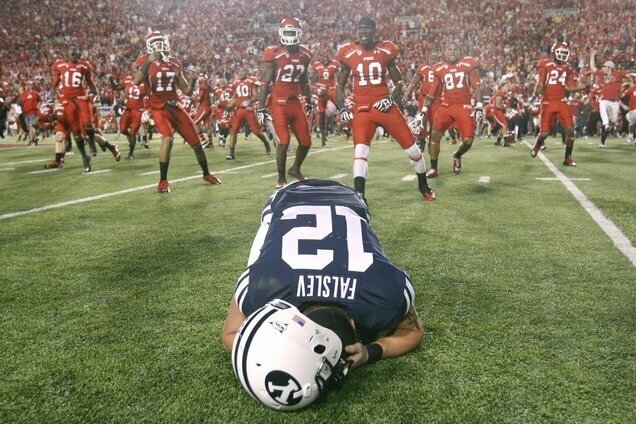 However, I find it hard to see the rivalry going on being that Utah is better in basically every aspect than BYU is. Although BYU does bring a few things to the table, here are 10 reasons why Utah will always be the best university in the state of Utah. 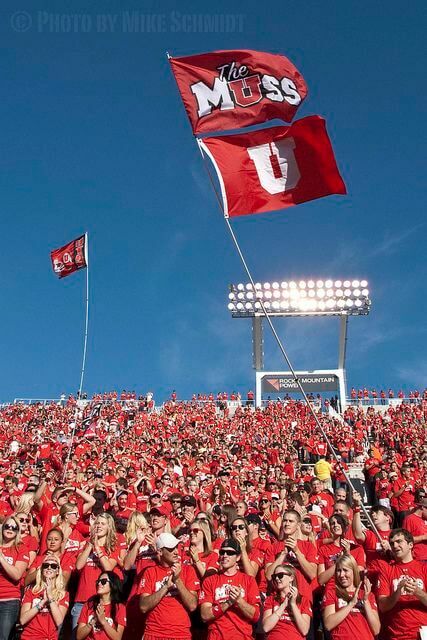 The MUSS was established in 2002 and immediately became known as one of the best student sections in the country. It was even named No. 2 on ESPN’s Top 5 Best Student sections in the Pac-12. The MUSS is basically the U’s fan club for all different kinds of sports, including football, men’s and women’s basketball, gymnastics, volleyball and baseball. “Not only are we known as the best student section in the state, but every opposing coach in the Pac-12 has commented on the impact we have on the game,” said senior Austin Haney. The U is less than an hour away from some of the best mountains in the country. Not to mention The Ski Channel ranked it the second-best university for skiing And snowboarding. “I personally have loved the accessibility to some of the worlds’ best skiing during my time at the U. You are just 10 minutes from the mouth of Parleys Canyon, which only takes about 20-30 minutes to get to The Canyons and Park City. Then just a little bit further you have Brighton, Solitude, Snowbird and Alta,” said senior Justin Jones. With that many ski resorts under an hour away, the U is any ski or snowboarding junkie’s dream college. No other school in the state of Utah can provide that kind of accessibility. “Being in the Pac-12, we don’t have to worry about trying to get into a conference or worry about who we are going to play in football. We always play teams that are good and who are going to make for a fun game to watch,” said junior Michael Seo. The Pac-12, a leader in collegiate athletes, is made up of 12 of the most prestigious universities in the country. Not only does the Pac-12 bring benefits when it comes to sports, it also brings many academic opportunities, and our facilities, research and athletic departments are even more competitive now after joining the conference. Can you imagine not having your morning cup of coffee, or your energy drink at your 7:30 a.m. class? No need to worry about that if you attend Utah. There are many locations on campus to get your daily fix of caffeine. “I think it’s nice to have a caffeine pick me up in the middle of the day so I can pay attention throughout all my classes, which leads me to getting better grades,” said senior Sunee Wood. Not only do all vending machines and soda fountains provide caffeinated drinks, but there are coffee shops, stores and cafés that you can turn to for even more caffeinated options, such as energy drinks, tea and MIO energy. Every time Utah plays BYU in football, fans of both teams refer to the game as the “Holy War,” which first started back on April 6th, 1896, when the two teams very first played each other. Fortunately for Utah, being the powerhouse that it is, it doesn’t see BYU as much as a threat. Especially because they are on a five-year winning streak against BYU right now, with hopes to make it six years in September. Also, the Utes have been dominating the Cougars in basketball as well. If you love sports, Utah is the place for you. “The Utes have whopped the Cougars the last five times they have played each other. Utah is ahead in the holy war 57-31,” said senior William Hess. Yes, I said spring break. “I feel spring break is beneficial to students because it allows us to catch up on our sleep and regroup. A stress-free week during the semester is just another reason Utah is better than BYU,” said senior Angela Rodgers. Most colleges provide spring break, but here in Utah, BYU does not. Although BYU students end the spring semester a week earlier, isn’t the break nice to let your brain rest? Halfway into a semester, anyone could use a week off to relax or, as many students do, take a trip from cold Utah to somewhere much warmer. As much as we Utahn’s love the snow, we could all use a break now and again. Need I say more? You can find the U in Salt Lake City in the foothills of the Wasatch Mountains. Downtown has a growing local business community, diverse food scene, affordable housing and endless employment options. In addition, UTA TRAX provides free transportation to all U students with trains from the U directly to downtown Salt Lake. This means if you don’t have a car or a bike, you can always count on TRAX. Another perk to being close to the heart of downtown is the nightlife. With Salt Lake’s many different clubs and bars you can chose from piano bars, cocktail bars, dance clubs and even sports bars. I know this probably seems like a given for almost all universities, but not in Utah. BYU does not allow girls to wear leggings on campus because it violates their honor code. Because they are form fitting, it is seen as immodest. However, the U allows you to wear leggings whenever and wherever you want. “I would be really mad if the U tried to regulate what we can and can’t wear. We aren’t kids anymore–if I pay to attend that school, I don’t want someone telling me what I am allowed to wear or not wear. I just want to feel comfortable when I have the opportunity to do so,” said senior Maja Sabanovic. At the U, guys are allowed to be who they want to be with the freedom to grow their hair and beard as long as they want. At BYU, however, the honor code requires that they be clean-shaven with hair no longer than their collar. “At the U people can express themselves in the way they want to. I don’t think it’s the worst thing in the world to that BYU doesn’t allow beards, but one of the best parts about college is finding out who you are and expressing yourself. And I think that the way you present yourself is a big part of expressing yourself,” said senior Nick Buchan. BYU does allow some students keep their beards and long hair, but only under religious or medical circumstances. However, the U doesn’t require any special circumstances to be who you want to be. First off, the University of Utah School of Medicine is the only medical school in the state. The U also provides the S.J. Quinney College of Law, College of Engineering, College of Education and David Eccles School of Business that all offer degree programs for graduate students. “My last year was largely spent researching and applying to different colleges for my Masters in School Counseling. Fortunately, the U had the program I wanted at an affordable cost. I appreciate the innumerable amount of opportunities the U provided me with,” said graduate student Jacey Eyre. One perk a lot of people might not know about Utah is that, although it is apart of the Pac-12, Utah’s tuition is surprisingly low in comparison to the other universities in the conference. If you choose to attend the U, you are sure to get an extremely credible education in any field you desire, without breaking the bank. Kelsey is a Senior at the University of Utah. She love to write, and is majoring in Journalism with plans to graduate this fall of 2016. When she is not writing you are likely to find Kelsey outdoors.